Clarges Mayfair is British Land’s first super prime property development, located in the heart of Mayfair. At the start of Clarges Mayfair’s journey, British Land enlisted Flamingo to explore both the meaning of luxury in Mayfair and the emerging codes of luxury today, to inform the development’s core identity. The development needed to reflect Mayfair’s traditions, yet also appeal to a contemporary audience. Flamingo carried out a semiotic analysis of the existing building (that is, its architecture and design), the Mayfair area, the core ideas of modern luxury, and the company’s brand. We also interviewed a selection of stakeholders involved in the project to get their perspective on how existing plans and ambitions could be fully integrated into one coherent vision. Flamingo’s work revealed the core elements that describe Mayfair luxury as ‘discreetly idiosyncratic’ and uncovered nine modern codes of luxury, including: meritocratic, dynamic, distinct and crafted. All of these elements were combined to inform Clarges Mayfair’s identity: ‘Crafting a modern legacy of distinction’. Five years on and the development is now complete: Three show apartments reveal the bespoke interiors and architecture that embodies the Clarges Mayfair brand. 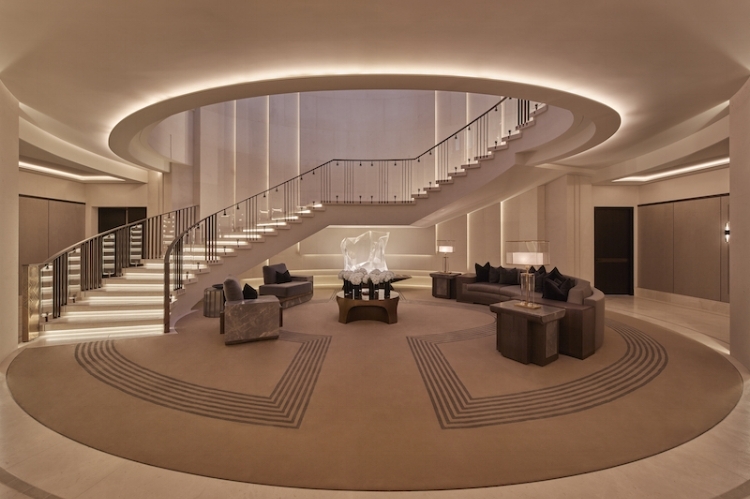 “One of the factors in the success of Clarges Mayfair has been the strong narrative that the whole team carried from beginning to end”, says James Taylor, British Land’s Head of Residential.